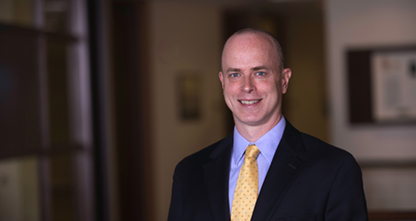 George Pelletier brings more than 15 years’ experience in the trademark and copyright fields with a focus on counseling, protecting and enforcing trademark, trade dress, copyright, trade secret, and related intellectual property rights, domestically and overseas. George was an Adjunct Professor at Western New England University School of Law, teaching Trademarks and Unfair Competition, and has lectured at the University of Connecticut School of Law. MySpace Inc. v. Will Eom, WIPO Case No. D2008-0448. Successfully argued and awarded transfer of domain name from typosquatter. MySpace, Inc. v. Edwin De Jesus, EDJ Associates Inc., WIPO Case No. D2007-1878. Successfully argued and awarded transfer of two domain names from cybersquatter. Osram Sylvania, Inc. v. iLighting Solutions Inc., WIPO Case No. D2008-0003. Successfully argued and awarded transfer of two domain names from cybersquatter. Kirkbi AG v. This Domain for Sale/Steve Morsa, WIPO Case No. D2003-0826 Successfully argued and awarded transfer of multiple domain names from cybersquatter.